A Kickstarter project for a full immersion full body tracker which can be used in Virtual, Augmented and Mixed Reality has surpassed its funding goal with 26 days to go. 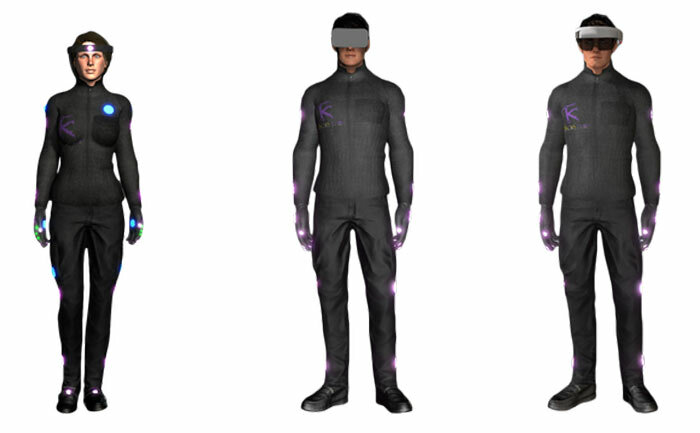 The HoloSuit is, as you might guess from the name, a full-immersion sensor and feedback packed jumpsuit which will make computer generated experiences much more real. 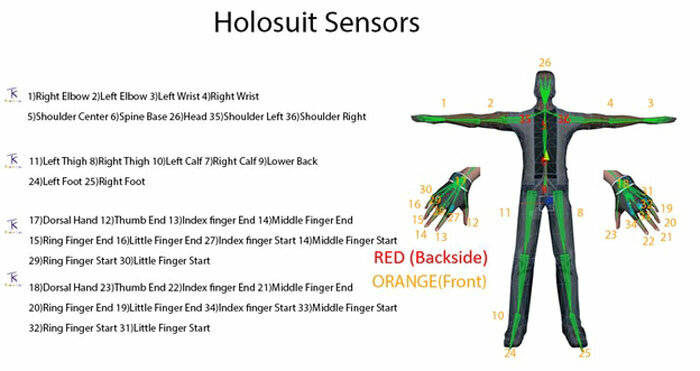 HoloSuit is described by Kaaya Tech, the project creators, as "the world’s first affordable, bi-directional, wireless and easy to use full body motion capture suit". It contains options for 26 or 36 embedded sensors, and nine haptic feedback devices dispersed across both arms, legs, and all ten fingers combined with six embedded buttons. Use cases foreseen include; sports, healthcare, education, entertainment, and industrial applications. In the video, top, you can see the many potential uses of the HoloSuit explored. For example it looks like it is useful in industrial and military training scenarios - as well as operating equipment we see a user move and a robot mirror the movements in real-time. In leisure we are told that the HoloSuit is great for remote training and interactivity in activities as broad as golf, yoga, and karate. In addition to the above, VR entertainment enthusiasts and gamers might see potential in the HoloSuit. With its full body sensors and haptic feedback and good response seen in reading finger movements it could deliver next-gen immersion in games environments. HoloSuit is compatible with Android, Windows, and iOS, and applications developed using Unreal Engine 4 or the Unity Engine. To back the HoloSuit Kickstarter project it is possible to pledge money for just a single glove (from $99) but the cheapest 'full set' with 26 sensors currently available is $899 (limit of 5 for this early adopter special). That actually looks quite interesting!! Anyone else getting “Ready Player One” deja vu? No mention of these coming in different sizes, or whether they're washable (machine or otherwise)? I imagine these will both be high on the priority list, what with us stereotypical fat gamer bois getting all hot and sweaty during those intense Call of Battlefield VR sessions…. and no, I'm only half-joking about that. Given what normally causes early adoption of new technologies I imagine a lot of the first ones released will wear out the groin sensors fairly quickly. You can find samples on Youtube (pre 2010) of one webcam providing decent body tracking. I much prefer the optical approach as opposed to strapping on trackers and / or wearing a body suit.